Junkyard is a band with quite an interesting story. Starting out in the ’80s on the Sunset Strip, the band released a small handful of releases under Geffen records, but since fading away from the limelight while continuing their musical career playing occasional live shows, before hitting full steam with a multitude of “reunion” shows that escalated into tours and highly successful gigs across America. With a band that has spent so much time out of the limelight, releasing their first official record in 26 years they would have to bring out some heavy hitters with their new release ‘High Water’ to regain any kind of momentum and make it worth the long wait. 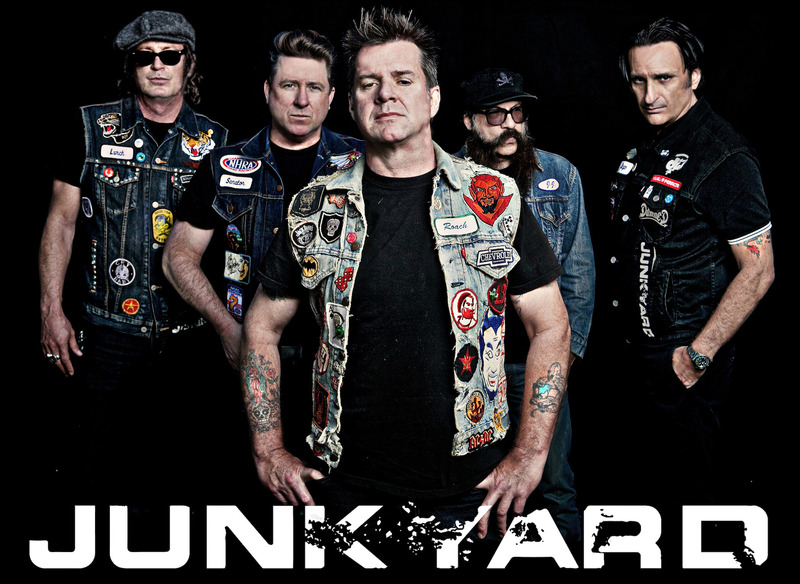 Finding a proper route to help your music evolve while staying true to the roots of your musical identity is something even the greatest bands struggle with, so how does Junkyard fare with evolving their sound from the ’80s to the modern age under such a large hiatus? Well, the simple answer is that they do pretty decently for themselves. Despite being out of the scene for a couple of decades, the music presented in ‘High Water’ doesn’t pigeonhole the band into simple nostalgia tunes. Junkyard plays with pop-country elements rather than the typical ‘Sunset Strip’ rock you’d expect from ’80s revival bands. It’s quite refreshing to hear something different coming from a band like theirs; though their billing as a “Hollywood Rockers” gives a different impression heading into the record over what is actually present in ‘High Water’. Now that we’ve established they’ve taken a positive approach to their ’80s revival, is it still something that’s worth listening to? A lot of people will disregard the band right away because of their pop-country tones; a genre that is hard up for respect in the mainstream music world despite its popularity. 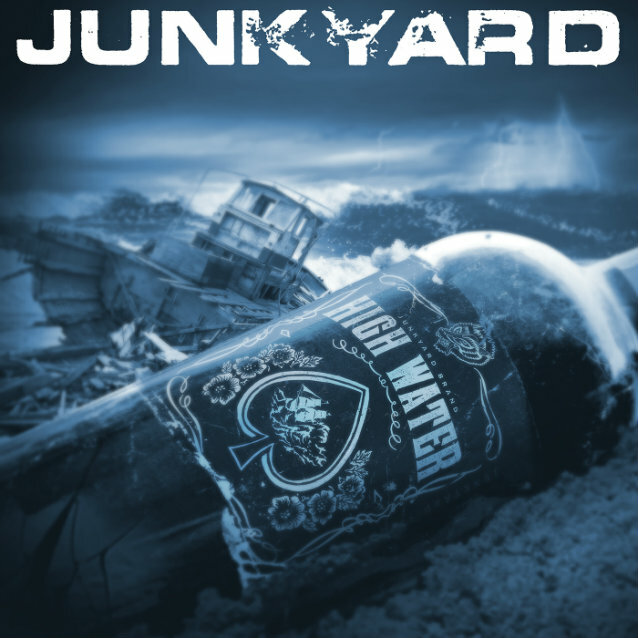 There are a lot of things working against Junkyard from the beginning; they’re 26 years removed from their last “official” record while attempting to revitalize an often ignored genre using elements from a highly divisive genre. So, are you surprised to hear that this record is actually quite listenable? Competent writing is hard to find with ’80s revivalists. It isn’t like Junkyard shatters the philosophy behind ’80s revivalism, they simply take the record ‘High Water’ and chuck a curveball when you’re expecting a soft fastball. What they do is nothing to make you sit back and watch these pitches fly with shock and awe, but their work is competent enough to make you offer up a little more respect as you stand at the plate and experience ‘High Water’. Granted, Junkyard does do enough with this formula to inject an extra sense of intrigue within the music; at the end of the day they aren’t playing with the strongest tools in the shed and it shows in the end product. The record ‘High Water’ is a competent body of work that presents a band with a certain sense of quality about them, though it’s not a record I could see myself listening to out of my own volition. ‘High Water’ is a record whose tracks I’d be more inclined to enjoy hearing in the next ‘Cars’ movie soundtrack than my own personal speakers. ‘High Water’ is a competent body of work that doesn’t do much to magnetize the listener into its musical aura; you won’t find yourself engrossed in this record, only finding appreciation from afar with what Junkyard does and how they go about doing it.